It is essential to take all necessary safety precautions on a building site as by their nature present challenges to working safety on a daily basis. 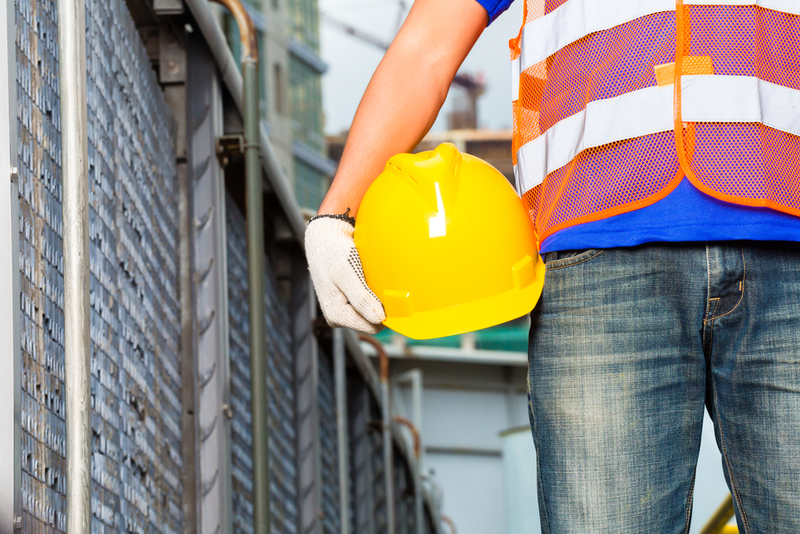 Building sites have the highest injury rates of all working environments by a considerable margin. Employers of building sites have a responsibility to ensure that the best possible safety procedures are carried out and followed. If an employer is seen to be negligent to any safety hazards causing personal injury * to a person they may then be held accountable. If you or a family member have suffered a personal injury * on a building site as a result of unfit working conditions contact our team of personal injury solicitors * and tell us about your case. Suppose that an accident occurred following the completion of a building and the cause of the accident was defective building works – in this case who is responsible for the accident? It is normally not until the builders have long gone that a construction defect that is concealed becomes apparent. The people responsible for the construction of the building have a duty of care to ensure that the building is of a certain standard. Therefore, contractors, architects and engineers on a project are usually the people responsible for repairing construction defects. If you have suffered from any of the personal injuries * mentioned above or any form of workplace accident * it is advisable that you speak with a solicitor as soon as possible if you have decided to pursue a claim. Dependant on the type of situation, the legal time limits to make a claim * can vary. For most cases, a person has two years from the date of the accident to make a building site accident claim *. Based in Dublin, Ireland, with 30 years’ experience Tracey Solicitors are specialists in Personal Injury Law. Serving clients from Ireland and Abroad our team of personal injury solicitors will guide you on all aspects of accident compensation claims. NEXT POST Next post: Astrologinė Auros prognozė rugsėjo 7-20 d.